For a trouble-free move, our Fowler movers are here for you! The professionally-trained student-athlete movers from Meathead Movers are ready to get you into your new Fowler home. For those planning to relocate, choosing professional Fowler movers from Meathead Movers is a great way to relieve stress and ensure a smooth transition to a new home. Known for a stellar school district and strong business environment, Fowler is a small community located in the heart of California’s Central Valley. Families moving to here will find that the city offers well-kept neighborhoods and a vibrant downtown area. The community prides itself on its authentic “Americana” atmosphere and its classic small town charm. Fowler has an ideal location within Fresno County. Residents and visitors can travel throughout surrounding communities and the state via Highway 99 and other nearby freeways. It is also located along the Southern Pacific Railroad line, making it an ideal destination for business owners. While residents enjoy the small-town feel of the community, they also enjoy all the conveniences of a big city as Fresno lies just five miles away. Outdoor recreation is a chief attraction in Fowler, which is sometimes known as The Blossom Trail City. The city hosts several events year-round and maintains several parks and a senior’s center. Among the most popular are the Summerfest Celebration, weekly farmer’s markets, Christmas tree lighting ceremony, and an annual Easter egg hunt. Those who want to enjoy outdoors beauty in the surrounding areas will find that world-famous Sequoia and Yosemite National Parks are just a few hours away. While moving to a new area might be exciting, the process of packing and transporting your possessions can be stressful. At Meathead Movers, we take the stress out of the moving process. Our team is made up of friendly, clean-cut student-athletes from nearby colleges and universities who jog when not carrying your possessions. Our Fowler movers can handle any move whether it be for a local, long-distance, on-site, or commercial move. If you need help preparing for your big move, check out our Princess Packers who carefully and safely pack away your possession. We use state-of-the-art technology to ensure that your move goes smoothly and that all your belongings arrive on time. We can even help you adjust to life in Fowler by connecting you with service and utility providers in the local area. Our moving concierge will be happy to discuss your needs with you. For many families, moving to Fowler means enjoying a real taste of small-town hospitality. 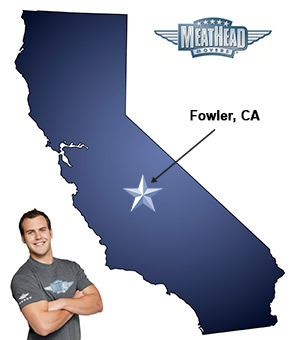 At Meathead, we’re here to help you adjust to your new community by acting as your Fowler movers. Fill out our quick online form today to get your free no-obligation moving quote. Friendly, punctual, and very accommodating. Friendly and efficient service! Loved my experience with Meathead Movers! Prompt service and protected furniture well. The way that the entire team was my choice.